Astra Theme was released in 2017, which means it’s the new kid on the block. But don’t let that dissuade you because it is developed by a very talented WordPress development company, Brainstorm Force. An area for improvement is in the user documentation. Personally, it’s not an issue for me, but for many new users, it would be really helpful. There are currently no active Astra Theme Coupon or Astra Theme Discounts available. 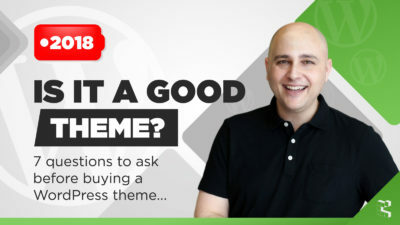 However, if you do purchase Astra Theme through the link on this website, I will give you access to one of my premium training course which normally sells for $49. logged out very cool stuff. Hi I bought the astra lifetime theme through your website. I’m still waiting to get access to your courses. I haven’t gotten any responses to your emails. How can I get access? If you emailed it to the email listed on the contact page, you would have received it fairly quickly. Good morning I’ve been reading your review and what I don’t find is that you mention the breadcrumbs, do you have them incorporated or do you have to create them through php? Thank you very much and congratulations for the very detailed study you have made of the theme. Hello, I love your tutorials. I am started using Astra free version and will upgrade ASAP. But I have one simple question. Can I add Adsense ads on Astra Free version? Please reply fast. You can add Adsense to any WordPress theme. and looking for configuring templates under Mega Menu, But unable to locate it, Please help me. I am a Pro User of Astra. How are you making the mega menu? The times I have used it I just made the mega menu in Elementor. I noticed you did not create a child theme? Does Astra not have any custom code required for each site at all that can be overridden when it is updated? I find that most people don’t really need a child theme. They have one available and they are easy to make yourself, but really most people don’t even need it. Interested in astra pro theme + pro elementor. Are there templates for content sites focused on blogging/news? A local news site/blog, heavy on content and lots of stories. Instructions are on my contact page. One thing I am missing, but maybe is available. Do you know if Astra allow for secondary menus? Is it possible to customise the mobile header setup? Do you mean to have a menu above or below the header? In that case yes, as you see on my website I have a second menu in the header but when you view on a mobile it’s all merged. Yeah, I see it now. Not sure I am happy with all the options that Astra provide for menus. I need to test it myself I think. Thank you! The only menu option they don’t have is a split menu. Hey Matt, that is an easy one, you can simply deactivate the extension. Visit Appearance > Astra and you will see a list of extensions you have activated. You can simply deactivate the scroll to top. I have mine deactivated on this site because it gets in the way of my live chat. Well because they don’t do the same thing at all. They don’t do anything the same, they don’t service the same purpose. That’s like saying what do I need a house for when I have a couch. Because of Adam’s recommendations, I’m now using Astra Pro Theme and Elementor Pro Theme. Really love it. Could use them both without much learning curve. I came across 1 challenge though. Been searching Youtubes but couldn’t find any guide. I want to place a Button on Astra Header along the main navigation menu. This Button when clicked, will Pop-up a Window displaying a Form created by Elementor Form. I finally got it done. happy happy. Using text widget which I placed an elementor short code. It is based on Adam’s Astra tip video at https://youtu.be/4Iekm9DF6bQ from minute 52.00 . To make any of the main menu navigation items be a button is so easy with Astra. In the WordPress menu settings, you need to check the screen options to make sure CSS Class is enabled. Then for the specific menu item, enter the word button. This is how they are doing it in their demos. Now I understand that you want a popup to be triggered with an Elementor Pro form. Unfortunately, Elementor doesn’t have a way to do this. There is a plugin named PopBox for Elementor, it may have an option to trigger popups via an ID. I would need to check. I tested the PopBox. No controls for size and position, though. Couldn’t find them. Maybe I didn’t test it enough. Zero CSS knowledge at my end. So I used Popup Maker plugin. Works well for me. Lots of controls for the popup window. Placed an Elementor Form shortcode into a popup window. Then hooked the send button to Mailchimp. Simply love how Elementor made this so easy. So I guess, for this particular project I’ve tried most of Elementor Pro functions on Astra Pro. There’s 1 other thing. I tried to upgrade Elementor Pro Personal to Business. My PayPal keeps rejecting it. But nevermind for now. Ok, yea I haven’t really spent any time with Popup Maker. Glad to hear it worked for you. How would you compare Astra to Genesis framework and those themes? There is a huge difference here. Astra is going to make it VERY easy for you to make changes, change styles, have full control really, all from the customizer. Genesis themes have little to no options in the customizer, everything needs to be custom coded via custom functions and custom CSS. The problem with that is it is completely unnecessary. I just find the Genesis theme is only for developers that want to hand code everything because there is no benefit to hand coding over Astra making it easy for anyone to do what they want without code. Hi, love the videos you put out, there full of really good content. I am currently in the process of setting up a website using WordPress and have installed Astra for my theme. I am a bit worried about investing so much time into the setting up of my website. Only to worry about this particular theme not doing updates, causing me my website to not load or function correctly. Astra is very reliable and backed by a very successful company. They are the ones I trust with my website and have never let me down. Hi Adam, I am using the Astra basic theme with Elementor Pro (bought through your site!) to make an ecommerce store. Im finding it hard to integrate woocommerce functions like the cart button in the menu etc. 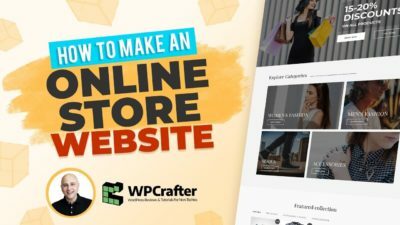 Have you a tutorial on making a woocommerce store on the Astra theme with all functionality from scratch? 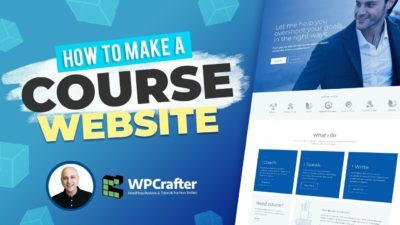 Im not worried about the design of the site as you have covered that really well in other tutorials, just the woocommerce part!! Thanks a mil. Hi, I use Astra a lot, it’s my favorite theme and your videos have really helped. I am having a problem getting videos to work on mobiles though – have tried everything I can think of…. mp4, webm, hevc, h.264 and nothing will play on iphones. Have you had this problem before? I don’t recommend that you add video that way. It’s an encoding issue and it is complicated. This is why it is better to use YouTube, Vimeo, or some service like that where you simply give them your video, and they make a format for all devices. WordPress is not capable of dynamically showing the right version for the right device. Thanks so much for answering. So if I learn how to set up my site this weekend with Astra Pro and Elementor , can I add the ecommerce ready fonctionality in a few months ? Or is it something I have to do all at once ? Yes you can at any point. You most likely will use WooCommerce, its a plugin you can install at any point. I tried asking a question before but I lost it somewhere along the way ! I’m a complete newbie and have to set up a Blog and Shop site.. Do you recommend Astra for ecommerce or another theme ? It’s not so clear if it’s set up for ecommerce / social media feeds/ supports photos.. Thanks for all your hard work and for your suggestions ! Astra is the perfect theme for any purpose. That being said, for e-commerce, in December 2017 they are releasing advanced e-commerce styling to their pro version which will make it even better. Big fan of yours – the info is great! I’m wanted to know what you thought would be the best combination of page builder and theme (if necessary) for an ecommerce site. E.g. elementor pro + astra? Astra is the theme I would pick, you would want the Pro version though because it will give you the most flexibility to add your own custom styling to your store. I have been following all your videos there are great. Wow, that’s very strange. I would suggest sending a support ticket to the developer, they are great about fixing any issues fast. Really good and fast theme, but there is no any educational/courses ready made template to import and play with. Too bad. Not sure I follow you there. Are you looking for a specific template? 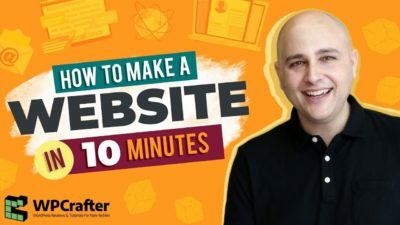 Have you seen Astra Sites, the free plugin that allows you it set up over 40 complete websites with 2 clicks of the mouse? 1. What software did you use to record the video? I really like the circular frame around you! 2. What are you using to cause the video to shrink and get sticky when I scroll? I’d love to add that function. Thanks. Hope you’ll indulge me. Yea I have talked about it in the past. Right now I am using Camtasia for all my videos and for the sticky video, just do a search for that, it’s a codecanyon plugin. 1. any idea when the astra woocommerce compatibility will be out? 2. is it possible to use astra simultaneously with beaver builder (for the themer functionality), and with elementor (for the better widgets/addons)? 3. or did elementor anywhere pro, catch up with beaver themer? I know the WooCommerce extension is a high priority, but not sure on the release date. My guess is it is a matter of weeks. And yes Astra is fully Beaver Themer compatible. Sadly Anywhere Elementor Pro will never be as powerful as Beaver Themer because it doesn’t have field connections and can’t since it is a 3rd party plugin. Do you know if Beaver Themer can be used comfortably with Astra Pro? Perhaps not for headers and footers (as Astra Pro seems to have a good solution for that) but how about post and archive layouts? Or is this a future enhancement to Astra Pro that you are think will be put in place that can be used for post and page layouts? Astra is 100% compatible with Beaver Themer. I use Astra on this site and I extensively use Beaver Themer. In fact, this post is done with Beaver Themer. Great video! 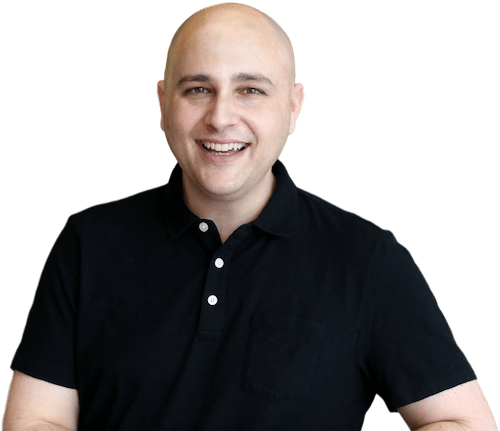 Can you explain a bit more how you create your blog post layout? I’m specifically interested in the floating header that contains the table of contents for the page. Is that done with Astra or Beaver Themer? Is setup for each post individually, or can you apply the header to specific posts with common layouts? I also like the floating video player and would like to know more about that. This is done with Beaver Builder but you could just as easily do it with Elementor. The floating video is a plugin name Sticky Video. Could you clarify for me how Beaver Themer fits with Astra Pro? I already have the BB Theme and Beaver Themer. I like the page-specific headers and footers I can create in Beaver Themer. Is there an equivalent function in Astra Pro? And/or can Themer be used with Astra Pro? Thanks for your insights. PS. Might I recommend you add a favicon for your site? It helps us 20-tabs-open folks. First, yes I need a favicon. I am going through a rebranding process right now, so that will come very soon. Now to answer your question, there is a ton of overlap with Astra and Themer. You can do much of what you can do with Beaver Themer in Astra, minus the global page templates. As far as the header and footer’s, yes this can be easily done with Astra Pro. Is the Avada Theme a contender against Astra for use with Elementor? What are your thoughts? Which has the edge? I would never use Avada, and never recommend it. The only reason they made that post and the video along with it is because people were asking. In fact the video was posted in the Avada Facebook group and the Avada admins deleted the video and kicked the Elementor users out of the Facebook group. It’s just a very slow, crappy theme, unfortunately. I have a question, Astra seems nice and all, but does astra is eCommerce ready? I am re-designing my website, i have always used avada but is slow now, i need a faster but cleaner theme. I run eCommerce subscriptions and i can’t find a demo or a response on weather Astra is eCommerce ready or not. Also why you think Astra is better than Ocean Theme? I am searching the best option to switch (ill get the pro or extension versions of 1 of those themes, once i have decide). So Astra is a lot better than OceanWP. But for WooCommerce, Astra is not there just yet. They are working on an extension to give you complete control of WooCommerce, but it’s not available just yet. Would astra be suitable for an ecommerce site? And any suggestions on a work around for the side bars? I tend to use them on my blog portions. Only found your site a few days ago, dam you’ve got some good information! When are you coming out with an Astra Theme Tutorial? Also, please let us know if a users group will be forming anytime soon for Astra. Hey David, there is a Facebook already for Astra. My full site setup should be out Monday morning and it will cover many topics, including SEO. Is this theme faster than Generate Press by nature? Would it’s basic functionality ( or with pro add on) necessarily demand a page builder? Does it have the option ( like generate Press) for homepage with Left And Right Sidebars? 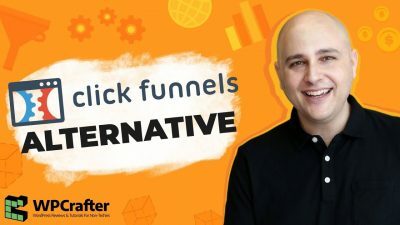 How would ads and Adsense banners be adopted for use in this theme? It is faster than all themes, I have test this myself. You can use it without a page builder if you wanted. It doesn’t have a left and right sidebar option. Regarding ads, you can use any ads plugin to manage that for you. Or you can place ads manually in the various hook locations. Hi Adam, very informative video, thanks! Just a quick question, have you been able create your own child theme for use with Astra? I always generate a child theme to add in my own functions (occasionally), but mostly to add in my own styling with css. Thanks. They have a child theme generator on their website. If you were using the Beaver Builder plugin, would you use ASTRA or the Beaver Builder Theme? Also, do you know which one is faster? Thanks, Adam! I would 100% use Astra because it will be less expensive and it will have much more features. I have always felt that the Beaver Builder theme was sorta the “red-headed stepchild” for Beaver Builder. For example, you can’t get a transparent header without also having Beaver Themer. What if you have a Beaver Themer and a full package of Beaver Builder add-ons? Would you still suggest Astra or Beaver Theme + Beaver Builder with add-ons is better? 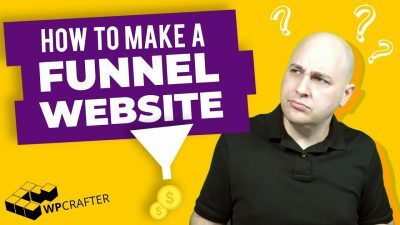 I’m not much of a coder so looking for a framework + page builder that allows me to build marketing sites/pages quick. Thanks for your review! Right now I think the Astra Theme has the edge above all other themes for WordPress where you would want to use a page builder. It is also less expensive then the Beaver Builder theme.